A new school year is starting and many children will be riding to and from school on the familiar yellow school bus. Most people know that state laws require vehicles to stop when the school bus is loading or unloading passengers, when the flashing lights are on and when the stop-arm is extended. These requirements, along with its color, size, and construction, help make the school bus one of the safest vehicles on the road today. In fact, school buses are more than six times safer than a passenger car for transporting children to and from school. Most people do not know that school buses are designed with a passive form of occupant safety called compartmentalization. The passive part means that children don’t have to take any action, they simply sit in the seat facing forward, and they are compartmentalized. Like the way eggs are protected in a carton, compartmentalization relies on closely spaced, energy-absorbing seats that deform in a specific manner to protect school bus passengers in frontal and rear impact collisions. Some school buses are now also equipped with seat belts. The NTSB recently investigated two accidents, in Chesterfield, N.J., and Port Saint Lucie, Fla., where the buses were equipped with lap belts. Unfortunately, both of these school buses were involved in side impact collisions with extremely large and heavy trucks. Compartmentalization is not as effective in side-impact or rollover events and thus, children are vulnerable in these types of crashes. Through the use of simulations and analysis of video recordings on one of the buses, the NTSB discovered from these rare but very severe accidents that seat belts can be beneficial – if the passengers wear them and adjust them properly so that the belt is low and tight on the child’s hips. Lap and shoulder belts provide even greater protection by reducing upper body movement. 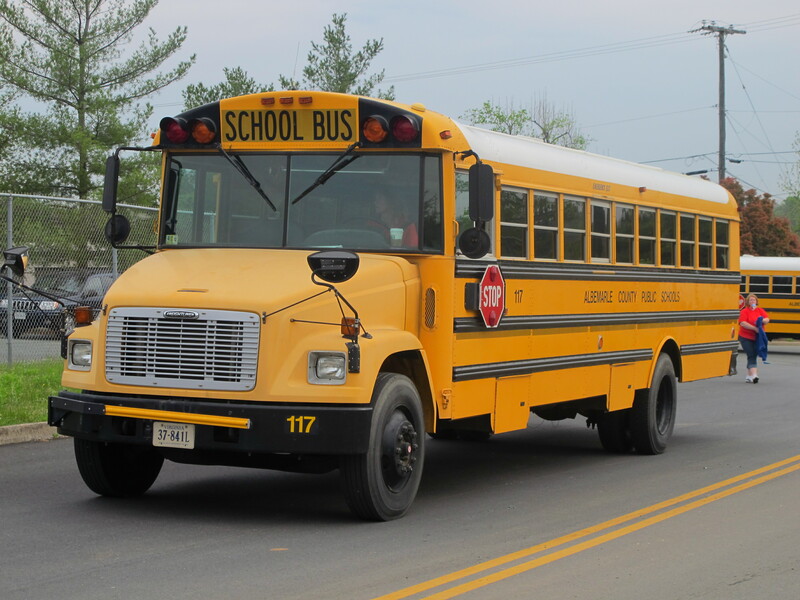 So, when your child heads to school this fall, know that your child is safest when riding the yellow school bus. Remind your child to follow the rules for getting on and off the bus and when on the bus, to always sit facing forward within the seat compartment and if a belt is available, to wear it properly. Despite all of the modern safety technology in automobiles today, the single greatest defense against injury and death in the event of a crash still remains the humble seat belt. In 1993, then North Carolina Governor Jim Hunt launched the Click it or Ticket campaign. It was the first statewide occupant protection campaign in the U.S. The program combined 3,000 enforcement checkpoints, paid advertising and media awareness. During the enforcement crackdown, more than 58,000 citations were issued for seat belt violations and by 1994 North Carolina’s seat belt use for drivers rose from 65 percent to 81 percent. 20 years later, Click It or Ticket has become a national enforcement effort designed to crack down on the non-use of seat belt and to reduce highway deaths and injuries. Today, Click It or Ticket mobilizations are conducted annually by law enforcement agencies, state highway safety offices and traffic safety advocates around the nation, with National Highway Traffic Safety Administration support and $8 million in funding from Congress. Since the launch of this innovative program, the national seat belt use rate has risen from 58 percent to 86 percent, and hundreds of thousands of lives have been saved and injuries prevented. But, there is still work to be done. In 2011, 52 percent of the more than 21,000 people killed in motor vehicle crashes were not wearing a seat belt. So remember, day or night, buckle yourself and your passengers up every time you go out.